One of the best ways to become involved is by joining us. Memberships help us in so many ways!. Your support is vital to our organization, and because we are a 501-c-3 tax-exempt charitable organization your donations are tax exempt. Click here for more info on memberships, and thank you for your support! We want to know! Are we doing a good job? Who are your favorite performers? We want your opinions, thoughts, and ideas to help us do a better job. Click here to take our surveys. 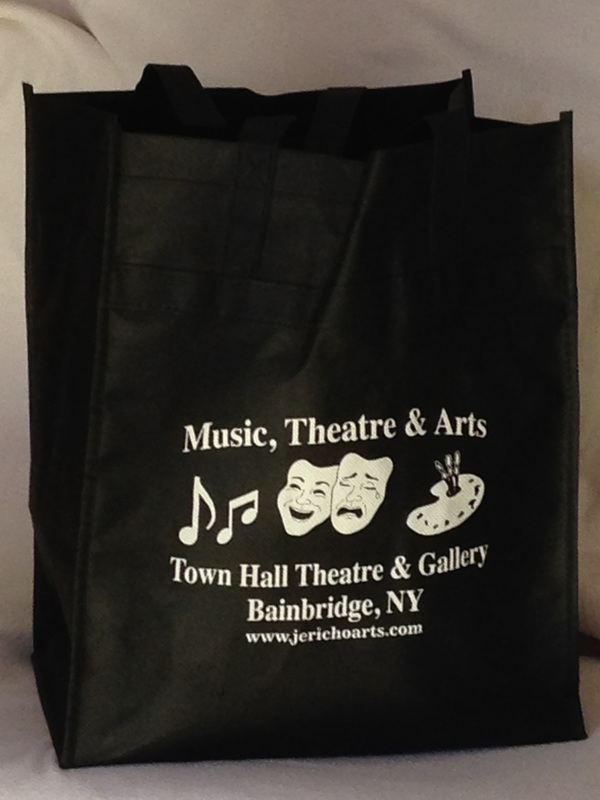 Volunteers are the life-blood of the Jericho Arts Council. We do not have paid staff. The people who run the concession stand, book the performers, do the dishes, sweep and mop the floors, vacuum the lobby, change the light bulbs, bake the goodies, change the marquee, organize and host the art shows, sell the tickets, write and mail the newsletters, send out thank-you notes, do the bookkeeping, do the lighting, set up and tear down the sound system, maintain the website, and all the countless other tasks that go into running a 250 seat venue that offers music, theatre, and art programming, are ALL volunteers. We would love to have you join us!! As you can see, there's plenty of tasks to go around, and whether you'd like to photograph events, dust some woodwork, maintain a database, or just fill in where needed, we have a place for you! There's no need for you to come to every event (unless you want to! ), and we provide any necessary training so if you like what we do and would like to be a part of it, please consider volunteering! Click here to contact us about volunteering. A $100.00 donation will upholster one chair seat and back. 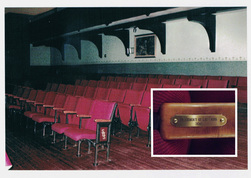 An engraved brass plaque in honor of your donation will be affixed to the arm of the seat. A donation may also be made in honor of, or in memory of someone else. Please help make our theater more comfortable, and help our ongoing restoration project! 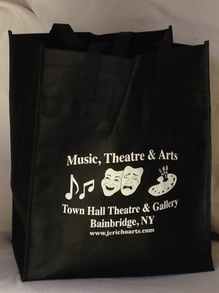 This Bainbridge Town Hall Theatre & Gallery grocery bag is the perfect way to support us and help make the world a "Greener" place by reducing your use of plastic bags. Only $5.00, so be sure to pick one up at the next concert! Also available is a black long sleeve T-shirt made from 100% cotton with the same image on the back. Only $15.00.